Get your FREE Download & Updates Here! Red Tent Temple Movement is Happening! Changes in our culture are necessary and the women are going to build infrastructure for our lives that includes support for our womanhood journey. We are already celebrating nine years of our movement and so much is taking place as it is spreading. Red Tent Temples, Red Tents, Moon lodges and more are spreading everywhere and this is in a large part due to having a cohesive grassroots movement that many of us have dedicated ourselves to, sometimes every day. And yes, it is for women of all ages and all cycles. We have a FB page under Red Tent Temple Movement that you are welcome to join. Marsia Shuron Harris and myself also made an informal DVD that can be shared among us. Contact us about that. We can burn and send for a donation towards costs and it can be burned and shared among you. There are wonderful photos and original songs as well. 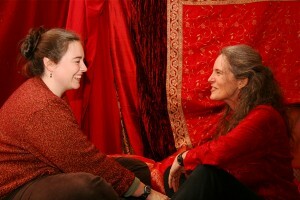 DVD’s of Things We Don’t Talk About; Healing Stories from the Red Tent. In the United States this is $25 plus shipping and handling which totals to $33. Click here to purchase. Thursday February 22nd, 2018 at 6:30pm Eastern Standard Time for organizers and women who want to learn more. We are creating now in our local communities a place for us where we can meet each other and at the very same time take care of ourselves and one another. It is time to create change at the very fiber of our cultures that will help build good relations. The Red Tent Temple Movement raises up a Red Tent in our local villages, cities and towns for us to honor our blood cycles and womanhood journeys. And the Red Tent Temple offers women a state of beingness rather than our continual doing mode. How about not do anything for a few hours? Or seeing what happens when we don’t have a plan or a direction? Are we keeping ourselves busy so we don’t feel? Where are we hiding in our busyness that may speak to our hearts when we finally take time to slow down? And most importantly as the world around us begins to shake we are growing a firm foundation of connections locally of wisewomen who are gathering in our tents sharing support and wisdom on our womanhood journeys. The Red Tent Temple Movement is a way for women to take our inner momentum, that feeling like the time is now and come forward with everything we are as women and give us a place to incubate, dream, slow down, and not have an agenda or plan. And simultaneously much is waiting for us in this not knowing place but we need to make time for the empty space. 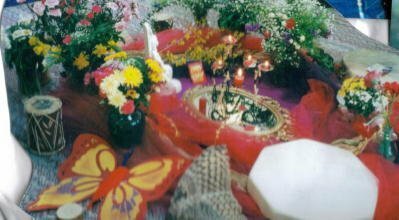 It is also not only empty space but woman space where we can share stories, laughter, songs, food and honor our unique cycles that we experience each month in our bleeding time and in our going through menopause and the many years leading up to it. We are looking for another way, a way that is more consistent with our actual rhythms, cycles and ways of being in relationship to each other that support, foster and give us strength and courage. Here in the Red Tent we can journal, rest, receive or give energy work, draw, read, share or listen to women’s wisdom in the stories we share. We cook one another food and drink teas for our wombs and bellies. It is a day out of the month on or near the new moon to step out of a kind of world that keeps us occupied. Inside the Red Tent Temples we give ourselves time to remember who we are at our very core, honoring that to do that remembering we must turn from our identities and roles towards the innermost temple of our own hearts. 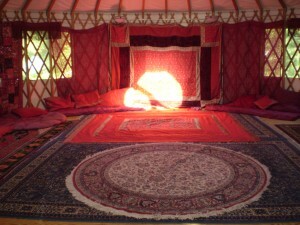 Come into the Red Tent Temple and stop for a breath and to be in your body. In the quiet and sometimes celebratory company of wonderful women, feel. In what you feel, there is much that is waiting for you. It is time. The women are ready to co-create a vision in the societies we live in and make a place among us where women are honored by honoring our own unique journeys of womanhood. A place for our elders and our young women. A place for us to come alive. Who knows where it will lead us? Women who are part of this important grassroots movement may never know what an important role they will play by bringing this into our culture at large. Now we are learning how. Join us in a revolutionary act. It is more than a woman’s circle. It is a deep learning process of unlearning the busy and finding the moment. Use the “Red Tent By Locale” Link to find a Red Tent near you! Or look at the Questions and Answers on the menu for information.The locale list is breaking down some from pure momentum. If you begin a Red Tent Temple in your area please send an email as to zipcode, contact, dates, location, and any information that you want women to know. Check the FB page for more info too as it is a lot to keep up with considering my present work schedule with women. The movement is growing among us month by month. Our vision remains to build an independent interactive website space where organizers can write in with information/blog/ etc. and a place where we can see how this movement can become widespread. We are still writing and learning about the mission statement, principles and purpose that can guide the intention of this vision in a way that can be more easily understood. You no longer need to RSVP. See where there might be a Red Tent Temple near you or start one.